Our client, a fast growing startup in the Silicon Valley, has built a scalable web based collaboration platform to help businesses share content and general storage within and beyond their organizational boundaries. Our client is positioning this online storage solution in terms of a ‘platform as a service’ (PaaS) model. This product offering was initially consumer focused. However to expand the product reach our client introduced an enterprise offering, targeting larger organizations and emphasizing collaboration tools. Our client’s solution based on private cloud offers simplified online content management and accelerated team productivity to our client’s enterprise customers. This solution also helps connecting a user base of more than 5 million, including 50,000 business users within and outside the enterprise using a simple yet secure and efficient collaboration platform. Our client wanted to leverage the PaaS model of solution and accelerate the user base growth by providing the customers a unique collaborative offering in cloud computing space. Our client had already established leadership position in file sharing through desktop, mobile and web worlds. 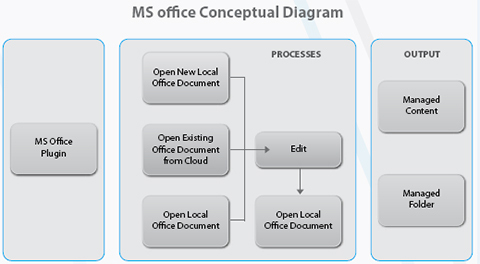 Microsoft Office being the most popular and preferred desktop application suite among enterprise users, our client wanted to provide ease of collaboration directly from their MS-Outlook and MSOffice. 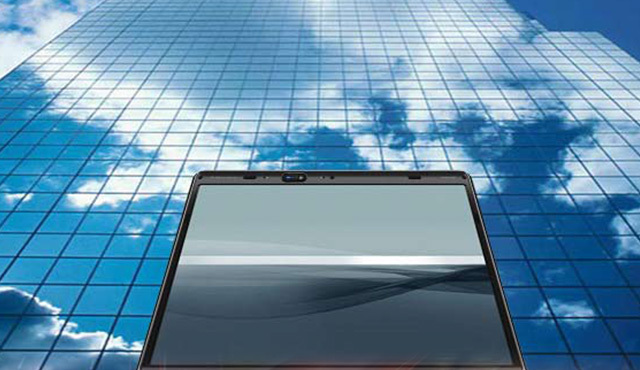 This required a seamless integration of these applications with client’s PaaS platform. Additionally our client required a partner with well established testing methodology and test benchmark processes to ensure that the plug-ins can be released to a wide user base having distinct desktop configurations. Another requirement was to create wizard type custom installers for the plug-ins which would also build the necessary environment in the background at run time so that the plug-in does not fail to initialize due to missing system components. The installer was also required to have an in-built auto un-install capability before upgrading the plug-in. Additional condition was that the installer should be able to manage the necessary privileges for the plug-in to work seamlessly under standard and admin user for Windows Vista & Windows 7 OS. Our client was looking for an agile innovative partner who will understand the demands of a fast growing successful technology company and provide competitive offerings not only on the Microsoft platform, but also in the web and mobile environments. Our client wanted to partner with a product engineering company who would adapt to the evolving requirements of the products and yet keep low turnaround time. Architecting the plug-in to run on both 32 bit & 64 bit machine types using single codebase. Core development team comprising of a technical architect and technical lead from Xoriant - Microsoft Center of Excellence had a series of discussions/meetings with our client counterparts to gather finer details of this engagement. web platform. By designing a 2-tier application framework, the Xoriant team built a loosely coupled architecture allowing our client to incorporate additional features with minimal code changes. 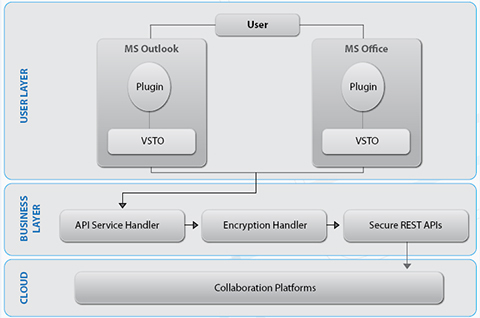 Xoriant team architected a generic installer with capability to install both the MS Outlook and MS Office plug-ins. Additionally the installer had a specially designed feature to silently download & install the missing system components on user’s machine to ensure that the plug-in never failed during its invocation. Xoriant Quality engineering group defined a comprehensive testing process for this engagement. A unique sub-system was set up within our QA lab which covered various combinations of Windows OS, service packs and machine types. Specialized tools like VMware were used to create multiple user environments to cover maximum possible unique test scenarios. Xoriant leveraged Bugzilla and TortoiseCVS tools for bug tracking and change management which served as the central bug tracking & repository systems for both internal/client QA teams. Developed MS Outlook plug-in which allows users to save/download attachments from their e-mails directly to the client platform and MS Office plug-in which allows users to open & update files directly on the platform without having to create any local copy. Designed RIA based rich user interface to provide enhanced usability for the users. Used XML as the transport mechanism between the plug-ins and the client platform due to its wide acceptance and ease of interface with 3rd party applications/systems. Built intelligence within the installer to scan the target machine for pre-requisites and install the missing components from the web in the background without halting the installation process. Adopted versioning of installers to enable auto un-install of earlier instances of plug-in during newer updates. Created and followed a certification matrix for testing the plug-ins in different environments (combination of flavors of Windows OS, service packs and machine type).